– To be eligible, one needs to have a valid HealthHub HealthPoint account and PAssion Card/Passion POSB Debit Card. 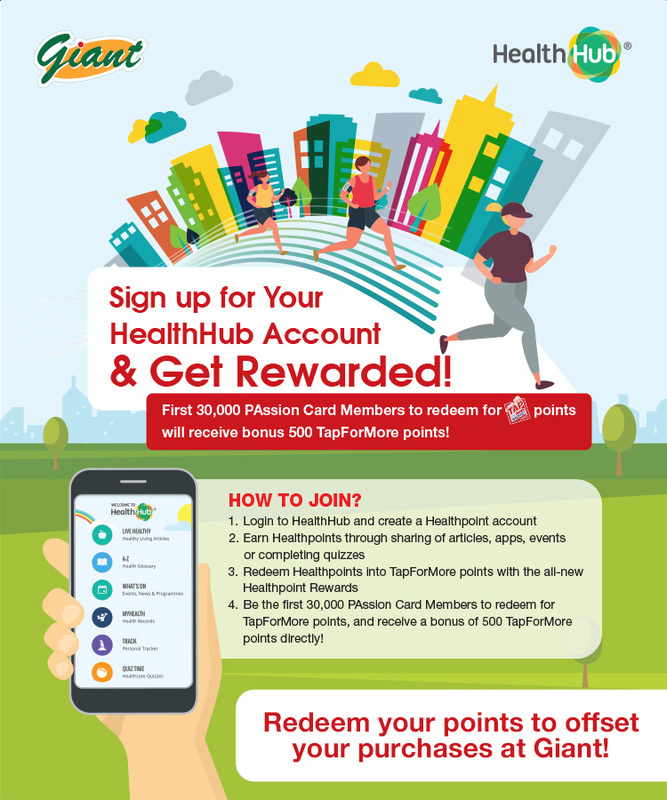 – Only the first 30,000 PAssion Card Members who successfully redeem their Healthpoints for TapForMore (TFM) points will receive a bonus of 500 TFM points (worth more than SGD$3). The bonus TFM points will be credited to the member’s TFM account/PAssion card by 31st July 2018. – At least 1 redemption must be made within the promotion period from 1st to 31st May 2018. – Each PAssion Card member can only enjoy the bonus 500 TFM points once, regardless of the number of redemption made during the promotion period. – Organizers reserve the rights to amend any terms and conditions without any prior notice.